Drill: Distance continuum; Groups of 2; 1 curved kick shield. Striker throws nonstop strikes at appropriate range moving “in” and “out” on instructors command. Drill: Dizzy Drill. Groups of 3: 1 attacker, 1 pad holder, 1 defender. Have defender stand in center with a stick. Defender holds the stick upright with one end on the mat. On instructor’s “GO!” they run in a circle, spinning with their forehead touching the top of the stick. 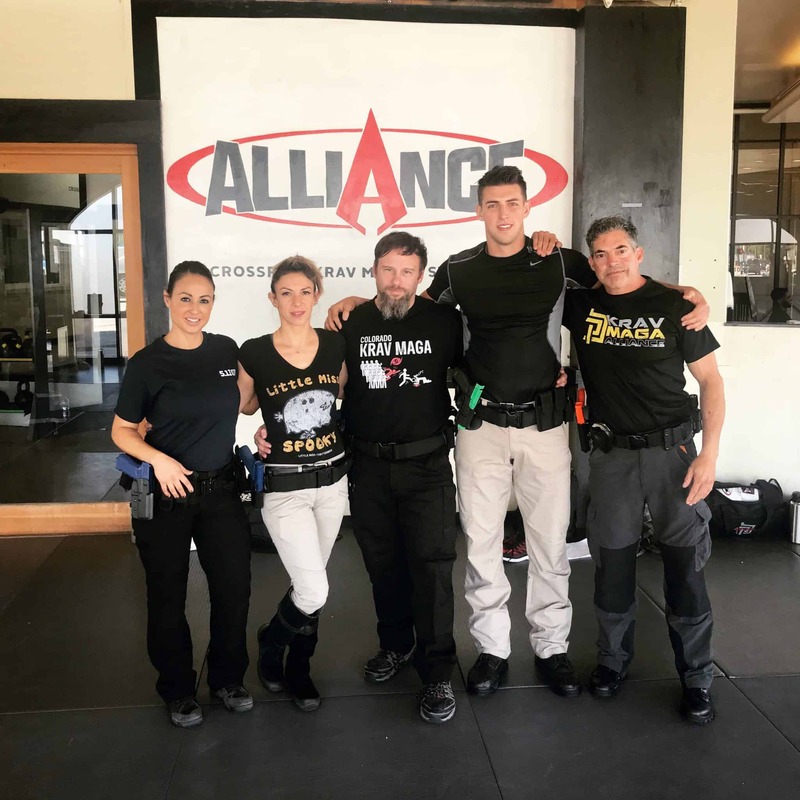 After 10-20 seconds (depending on equilibrium of the group), instructor calls “STOP!” Partners can apply Choke from the Front or call “DOWN” for Defender to safely get on back, orient toward pad holder, make Ground – Front Kick, and get up. Drill: 1 minute rounds. Partners start in guard position. Bottom person must effectively kick-off or sweep. Top person must try to pass guard (or at least maintain top position). If either partner is successful, partners stop & reset to same positions. Partners will switch positions during the next round. After both partners have fought from both positions, students must find a new partner and repeat drill. Drill (Roaming attacker): Partners free work Thai pad combinations. 1-2 attackers roam the mat with kick shields. Attackers masy get any striker’s attention and call for 2 back kicks with a switch. Striker should follow up with a few combatives before returning to pad work.